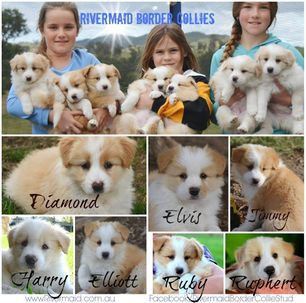 Rivermaid Border Collie Stud - Puppy Questionnaire..
looking for their New home - please state if your interested. Have you had a Border Collie Before? Do you Have another Dog? What Breed? How many hours each day will your Border Collie be home alone? 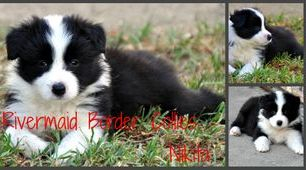 What attracted you the Border Collie Breed? What Style of Training will you be doing? Will the pup / dog be allowed to be inside at all? Explain your House Yard, Size and Fence Type.